But the familiar trappings cannot disguise the reality that Cosby’s second trial on charges that he assaulted a former friend in 2004 will have significant differences from his first. Cosby’s second trial will also play out against the backdrop of the #MeToo movement, which last autumn prompted a wave of sexual assault and misconduct accusations against dozens of powerful men in Hollywood, business and politics. The movement has also stirred a national dialogue about the way society treats people who step forward to tell stories of sexual abuse. More than 60 women have accused Cosby of sexual assaults dating back decades. The entertainer, now 80, has denied all of the accusations, saying any sexual encounters he may have had were consensual. The Pennsylvania case, brought by Andrea Constand, a former administrator at Temple University, Cosby’s alma mater, is the only criminal prosecution to result from the accusations, most of which are too old to allow for charges. At the second trial, five other Cosby accusers are expected to take the stand under oath and detail their accusations against him. Their testimony could bolster the prosecution’s argument that the celebrity best known for his role as the benign patriarch on “The Cosby Show” was a serial predator who preyed on vulnerable women. The trial judge, Steven O’Neill, allowed prosecutors to call only one of the other accusers to the stand during the first trial. This time, prosecutors had sought to call as many as 19 other accusers, while defense attorneys objected to allowing any to appear, arguing that they would unduly prejudice the jury. O’Neill ruled that prosecutors could call up to five women from a group of eight accusers that includes former model and television personality Janice Dickinson. Such “prior bad act” witnesses are typically barred for fear jurors will be more likely to convict a defendant based on past behavior, rather than the specific charges before them. In rare cases, judges have permitted such testimony to show a defendant engaged in a pattern of behavior, using a particular modus operandi. Studies have shown that mock juries are far more likely to convict defendants after hearing from multiple prior accusers, particularly in sexual crime cases, according to Aviva Orenstein, a law professor at Indiana University and an expert in trial evidence. The #MeToo movement has also stressed a need to be more receptive to accusers’ accounts. The defense case will also have some major differences, starting with the lawyers. Cosby’s new attorney is Los Angeles-based Tom Mesereau, best known for successfully defending singer Michael Jackson at his 2005 child molestation trial. 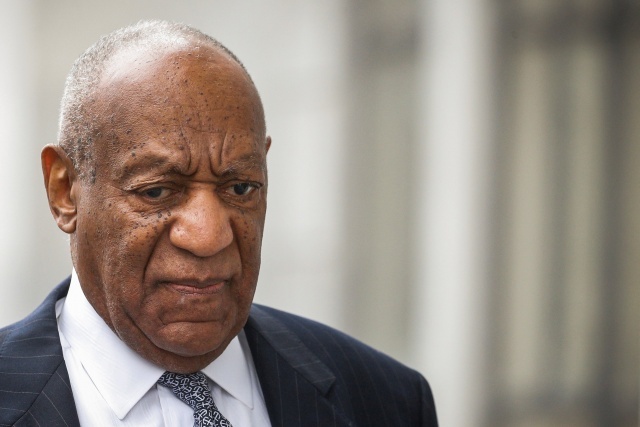 The defense has said it would seek to portray Constand as a liar motivated by a desire to get a piece of Cosby’s fortune. That strategy got a boost this week when the judge said he would allow testimony from a woman who claims Constand mused aloud about falsely accusing a famous man to get money. He also said the defense could introduce evidence of Cosby’s payment to Constand to settle her civil lawsuit, a detail that has been kept from public view, including the jury from the first trial.